Fast - Counts over 1000 bills per minute. Large Capacity - Collection opening holds 125 bills. Convenience Features - Digital LED touch pad control / Remote display / Retractable handles. Accurate - Sensor Controls allow precise counting. Reliable - UV protection detects counterfeit bills. Our BC-1210 Bill Counter is a Best- Selling item in the US! It is accurate, fast and convenient. Electronic sensors control precise counting and batch mode in adjustable increments (10, 50, 100, etc.). 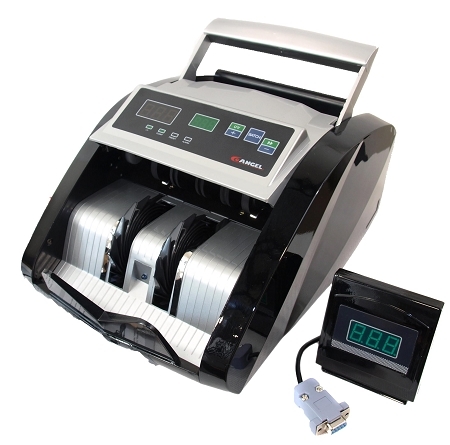 This bill counter offers an impressive speed by counting over 1000 bills per minute with a collection opening that holds 130 bills per batch. 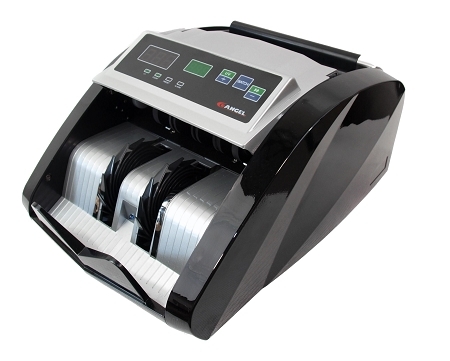 The BC-1200 is the perfect solution for small business and their cash counting needs! It's compatible with all paper bills including USD, EURO, PESO, POUNDS, etc.